With the introduction of Italian tanks, Wargaming also introduced a brand new mechanism: auto-reloading. The Soviet IS-3A was supposed to have a similar mechanism installed into it, eliminating the need of a loader, but it was never implemented and the tank itself is just a worse IS-3 with three crew members. Wargaming has now decided to bring this tank to Supertest to test yet another new mechanism: inverted auto-reloading. You might be asking what is the “inverted” and it’s quite easy to explain. While the Italian top Tier tanks have an auto-reloading that decreases the reload time you load one round into the mechanism, with the Soviet inverted system is just the opposite, it takes longer to reload one the more rounds you have in the mechanism. Keeping it simple, the first reload takes less time than the last one. The idea is to create a heavy tank that favours pronounced attack, able to conserve firepower when the battle slows down or while its changing positions, dealing about 1,000 burst damage when in combat and keep fighting with just one round. No further details were given if the current IS-3A in-game will get this feature if successfully tested, but the main objective is to test a new gameplay concept for an auto-reloader heavy tank that isn’t an IS-3 variant. In my personal opinion, we might see this new mechanism introduced to the Soviet heavy tank ST-II as I had some tips about this. Only time will tell if we will get the inverted auto-reloading mechanism added to game or not. I dont rly think thats a good idea. The italians are awful singeshot tanks and mediocre autoloaders. They have a big disadvante when they fire their shots. This tank is just a normal heavy which gets some extra benefits of a clipper. So basically you reload whole clip while moving to desired position on map and then you empty your clip at first enemy you see, dealing 1200 damage, and then shoot them like regular heavy tank every 8 seconds without any disadvantages. Those poor souls that confront this tank will be fkd. Nice. How is an 18 second reload for regular shooting not disadvantaged? With the normal IS-3 you get a slightly better gun and you can fire every 11 seconds. 18seconds is only the third round reload, if you have an empty mechanism, it will take 12s (stock) to reload. Its like having a normal IS-3 but it can also take two extra rounds ready to fire for a burst damage. Yeah, that’s how it works for now. This gaming company have stolen 1500 euros that I invested in the game buying premium tanks, premium accounts and the other goods! They accused me that I have been using cheat mods! When I offered them to send them my videos where they could see that I haven’t done anything wrong they just ignored me. When I asked them for any proves that also ignored me with their not answers! World of tanks is one semi-legal company that uses all possible holes in their ambiguous rules of course to their advantage! This is really outrages! They robbed me and I can’t co nothing about it! To be “robbed” means they have to aquire something from you illegaly. They haven’t, you paid them on your own will anything you bought. They are entitled to ban you for cheating, it’s in the EULA and Terms and Condutions of use. It all really depends on whether or not he actually was cheating, doesn’t it. I hope they knew what they were doing; otherwise someone has been grievously wronged here. In other news, I think putting an auto-reloader on an IS variant is a really bad idea. Yes, fully loading the clip will take the best part of a minute, but once the clip is loaded the tank can dish out nearly 1200 damage in 9 sec. And if the enemy survives that, the IS still has its great armour to protect it (unlike your typical French, Italian or Czech autoloader), and 12 seconds reload for the fourth shot is not out this world, either. My guess is that Wargaming were unsatisfied with the revenue from selling the IS-3A, so they are looking for a way to make more money out of it. They certainly aren’t doing this because a Russian autoloader is desperately needed in the game. This design will put any tank it is implemented on on a much higher level. It is so wrong to use an already strong design for this. He sees tier 6, which he can bully anyway, why making the IS line even stronger. This design should only be accomodated to a mediocre tank. Like the French Tier 8 heavy or the CDC. Some tank which can be devastated for aiming and shooting at the wrong time. And by the way, i read in the comments it takes 9 seconds to unload, but thats wrong. It takes 6 after the first shot. A permanent ban for cheating, I don’t think he can reset his account at all now. Take WG to court, don’t randomly vent here. However, if you did get banned, you must have gotten a warning first. Kind of makes me wonder. Anyway, even if you did cheat: there are limits as to what is legally considered fair treatment. WG can refuse to allow you to play your account, but it may very well be obliged to refund your money, at least in part. If you did pay for 1500 € worth in services, you should strongly consider legal counsel. Well, italian tanks proved to be good with their guns so let’s make “russian” version. And that means better one. 45 second reload to deal out anywhere from 878 to 1463 damage seem reasonable.. those just assuming 1200 damage are still stuck on stupid and think that 390 damage means u get 390 damage guaranteed, or they have no clue what RNG is.. any shell coming from a Russian HT with a 3 second aim time isn’t a shell worth relying on. as far as being banned, you must have been warned once, and continued to keep on doing what they told you not to do. everybody knows that you sending in a replay doesn’t mean jack****… the illegal mods are on your computer, not wargamings, So they wouldn’t be able to see anything. Only way to see what you are really using, is to use “your” computer, nobody elses. Its like people who cheat and upload their videos to wotreplays… they could be using every illegal mod out there, but if u don’t use mods, then when you watch the replay, it just looks vanilla. but if you use illegal mods, then every downloaded replay you watch from other people, will looks like they are using illegal mods. 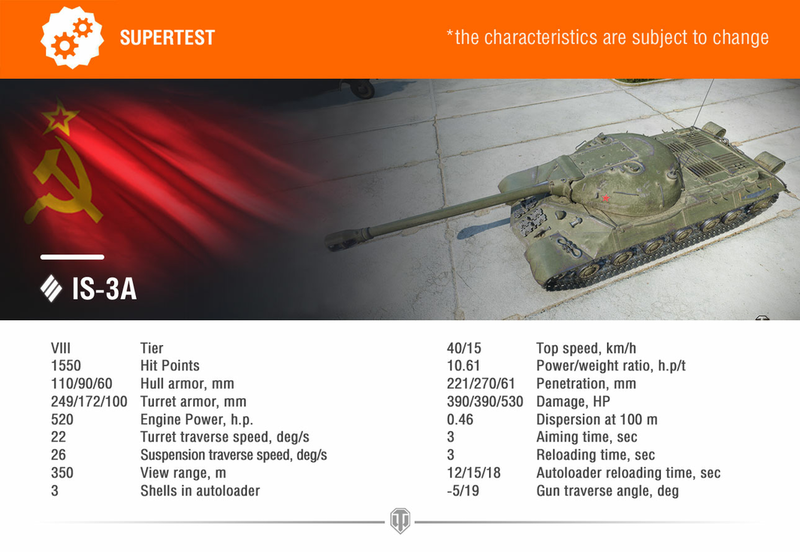 Previous Entry World of Tanks Supertest: T-50-2 is back!